Royal Enfield has commenced the road tests of its next-generation models, and a mule of the new Classic range motorcycle was spotted somewhere near Chennai. The next-generation Royal Enfield Classic range would continue to feature the same silhouette as the current model. Thus, you would notice a lot of resemblance between the body panels of the test mule and the current Classic motorcycles. 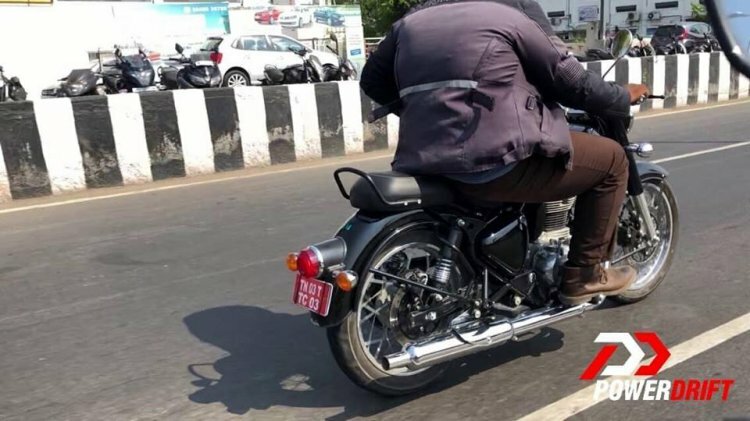 The test mule of the next-generation Royal Enfield Classic motorcycle reveals redesigned tail section, repositioned chain and rear disc and a missing kick starter. However, closer observations reveal many changes. The tail section, as seen in the images, would receive a visual overhaul. The tail light and the blinkers retain the spherical shape although the mounts are different. The tail lamp also gets a chrome surround. The exhaust outlet appears to be shorter than the current-generation motorcycle. Another major upgrade comes in the form of re-positioned chain position that now sits on the left side of the bike, thus hinting at major changes to the engine. Moreover, close inspection reveals that the motorcycle is missing the kick-starter. The disc brake at the back has also been re-positioned, and it now sits on the right side. The motorcycle in the spy images is most likely the 500 cc variant of the Classic range as the swingarm design matches the current generation model. The swingarm design is slightly tweaked and the unit on the test mule runs parallel with the exhaust. The new model would come equipped with a BS-VI compliant motor. The 500 cc range already comes with fuel injection system although the 350 cc models continue to use a carburettor. With BS-VI upgrade, all motorcycles would benefit from fuel injection tech. The performance numbers are not likely to be massively different from the current generation models. For reference, the 499 cc, single cylinder, twin-spark, air-cooled engine is tuned to deliver 27.2 bhp of power at 5,250 rpm and 41.3 Nm of peak torque at 4,000 rpm. Stopping power would come from disc brakes on both ends while the safety net of dual channel ABS would be standard. Shock absorption tasks would be performed by conventional telescopic forks at the front and twin-sided, gas charged, 5-step adjustable springs at the rear. 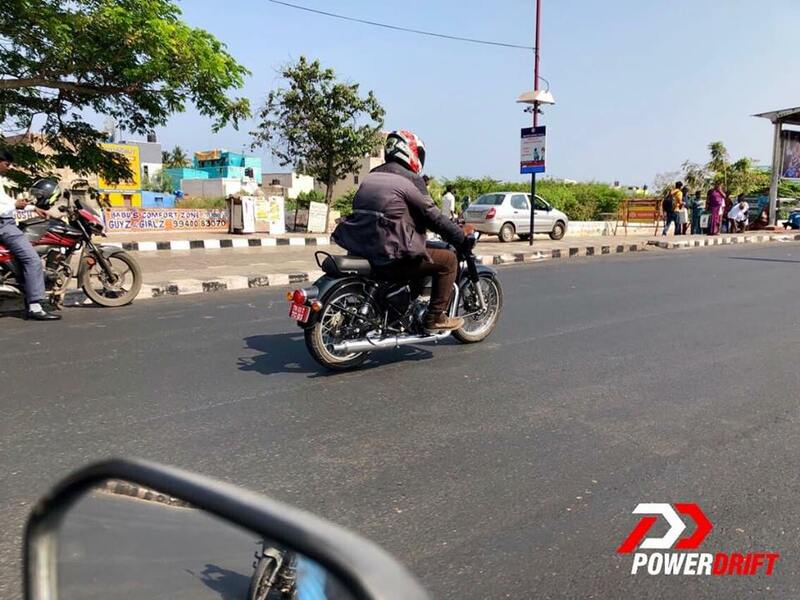 The next-generation Royal Enfield Classic range would arrive with a BS-VI engine and we expect to see the models at the showroom towards the end of the current fiscal. The motorcycle is likely to reach the showrooms towards the end of the current fiscal (March 31, 2020) and it could command a marginal premium over the current generation motorcycles. The Classic 350 ABS retails for INR 1.53 lakh while the Classic 500 ABS could be purchased for INR 2.01 lakh – both ex-showroom Delhi.